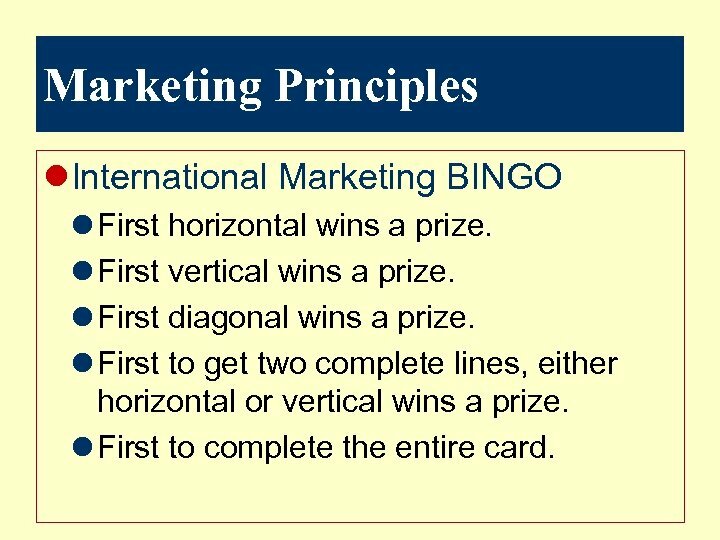 Marketing Principles l. International Marketing BINGO l First horizontal wins a prize. l First vertical wins a prize. l First diagonal wins a prize. l First to get two complete lines, either horizontal or vertical wins a prize. l First to complete the entire card. 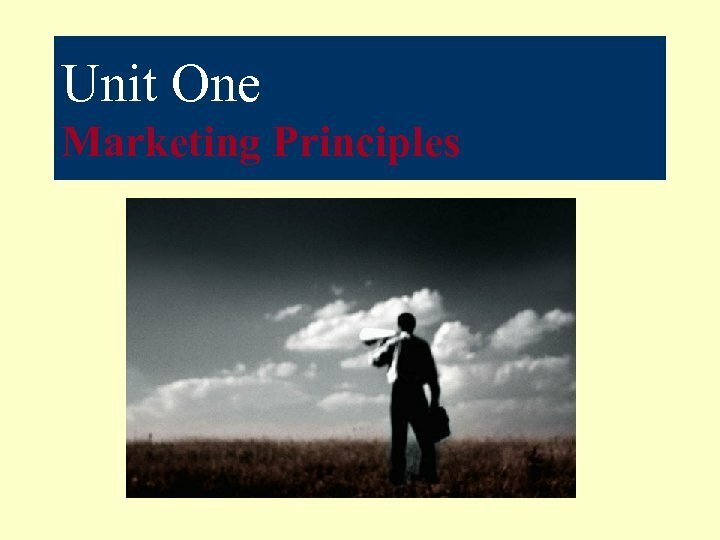 Unit 1 Essential Question l. What are the major concepts of marketing principles? 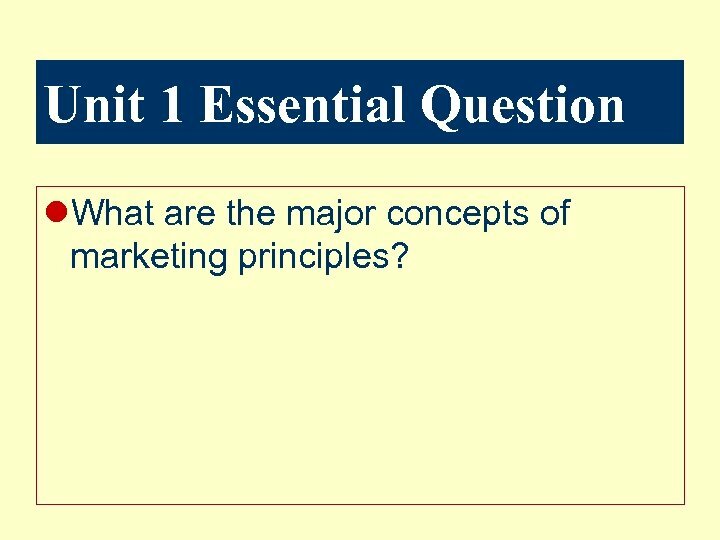 Essential Question 1 Marketing Principles How do the basic marketing concepts relate to a specific market? Marketing Essentials pg. 12 -19, pg 37 -41 Amplifying Questions What constitutes value for customers and consumers alike? 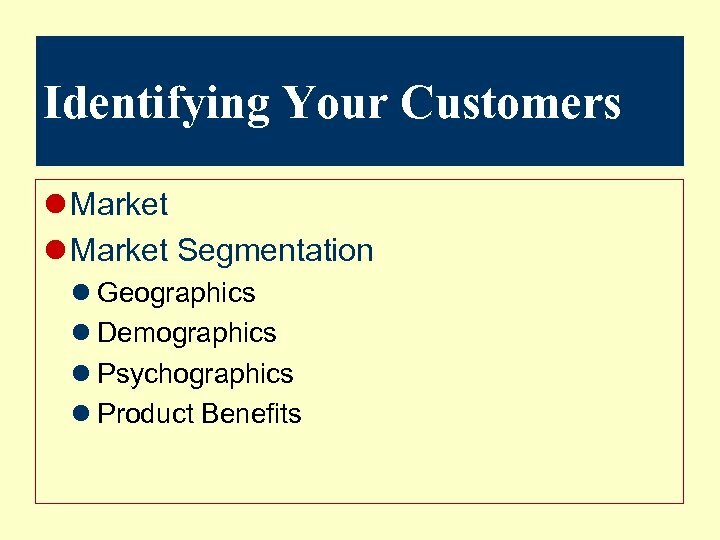 What are the different ways a market can be segmented? 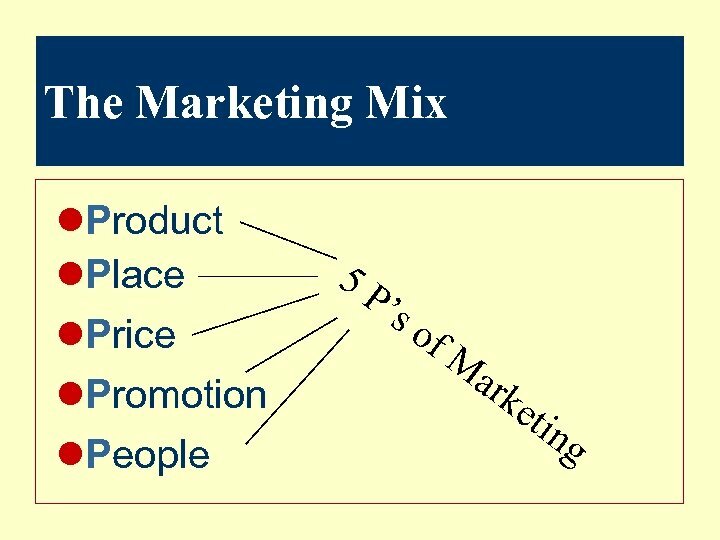 What are the five P's of the marketing mix? Marketing is. . . l The process of developing, promoting, and distributing products in order to satisfy customers needs and wants. 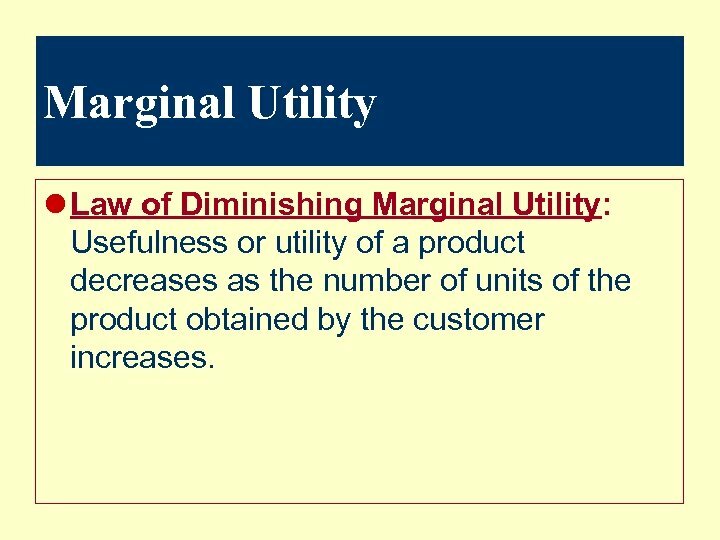 Marginal Utility l Law of Diminishing Marginal Utility: Usefulness or utility of a product decreases as the number of units of the product obtained by the customer increases. 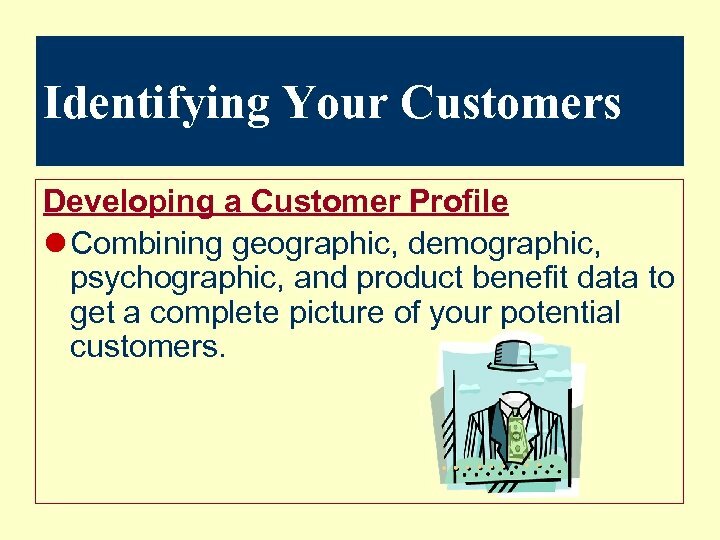 Identifying Your Customers Developing a Customer Profile l Combining geographic, demographic, psychographic, and product benefit data to get a complete picture of your potential customers. 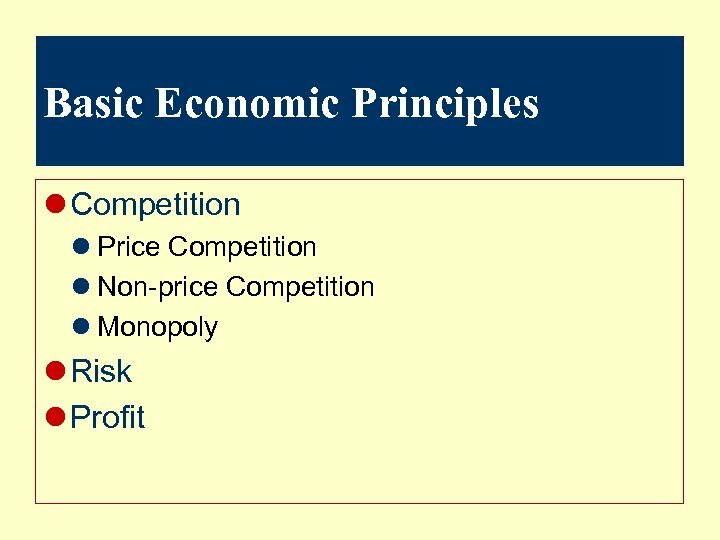 Essential Question 2 Marketing Principles How do the basic economic concepts relate to a free enterprise system? Marketing Essentials pg. 100 -106, pg 124 -132, Amplifying Questions What is a free enterprise system? 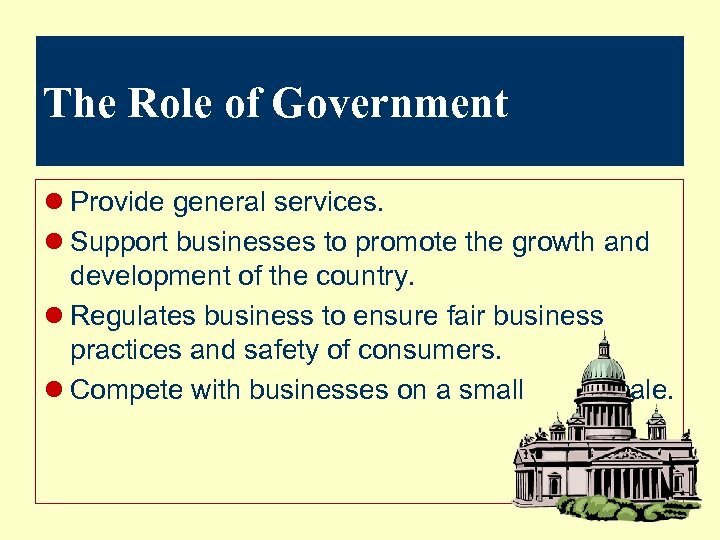 What are the roles of government in a free enterprise system? What are the roles of a consumer in a free enterprise system? 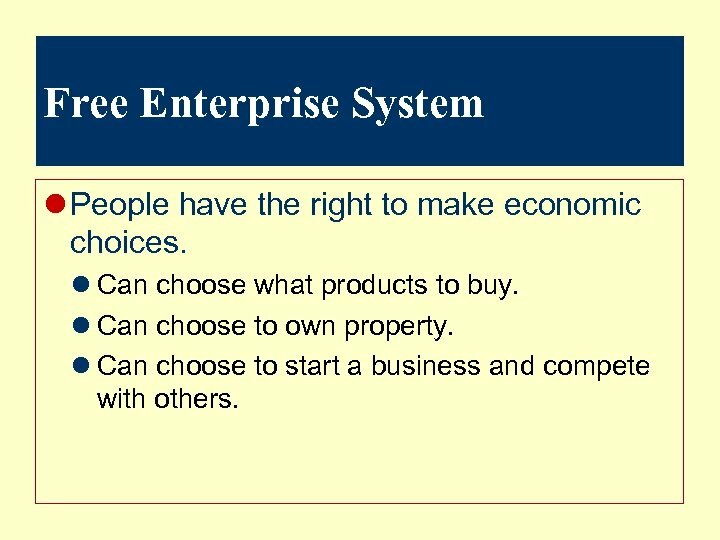 Free Enterprise System l People have the right to make economic choices. l Can choose what products to buy. l Can choose to own property. l Can choose to start a business and compete with others. The Role of Government l Provide general services. l Support businesses to promote the growth and development of the country. l Regulates business to ensure fair business practices and safety of consumers. l Compete with businesses on a small scale. 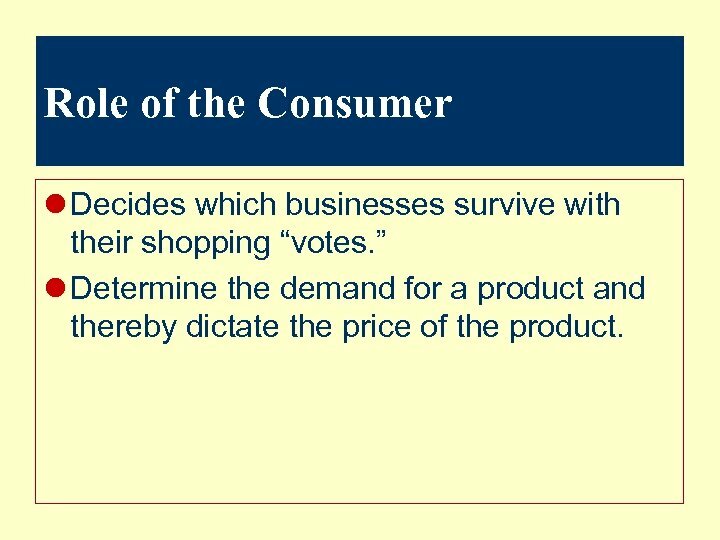 Role of the Consumer l Decides which businesses survive with their shopping “votes. ” l Determine the demand for a product and thereby dictate the price of the product. 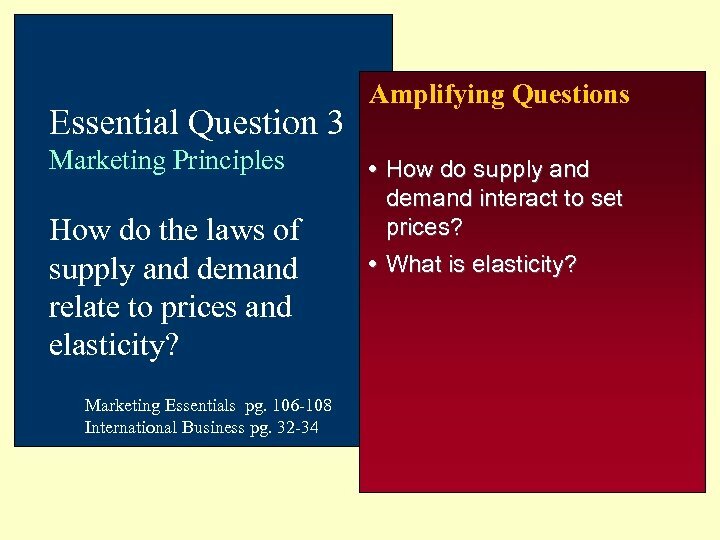 Essential Question 3 Marketing Principles How do the laws of supply and demand relate to prices and elasticity? 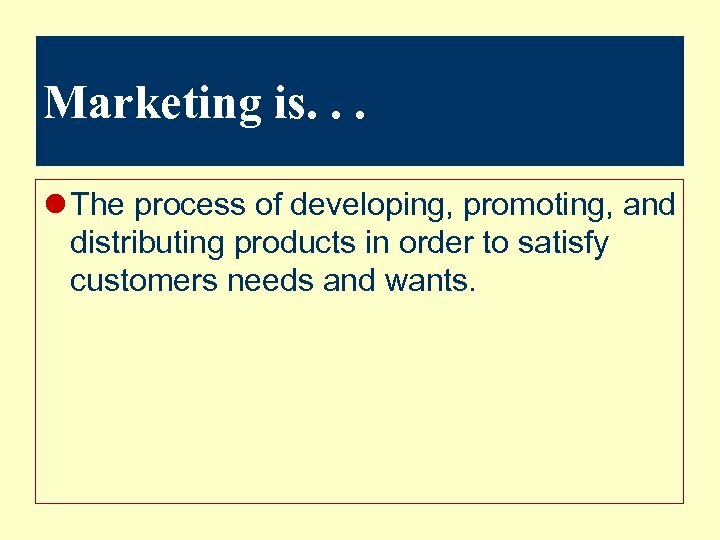 Marketing Essentials pg. 106 -108 International Business pg. 32 -34 Amplifying Questions How do supply and demand interact to set prices? 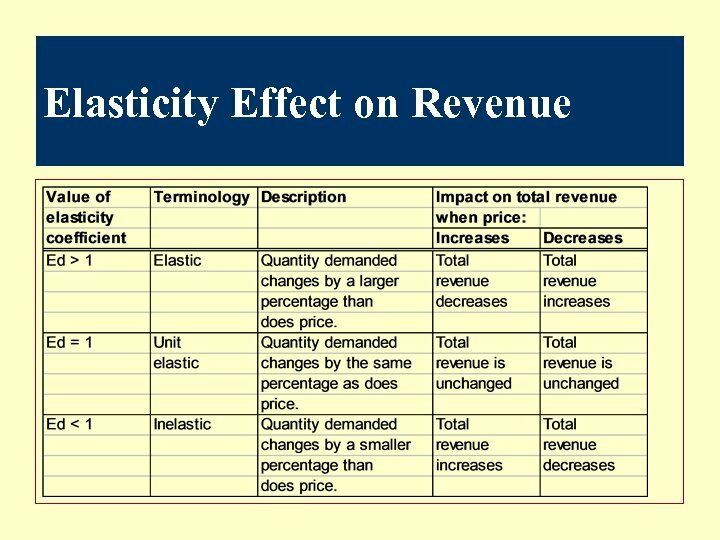 What is elasticity? 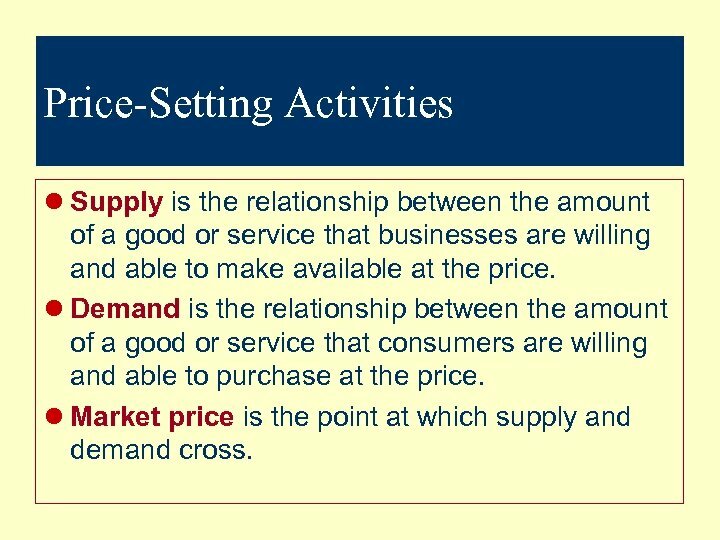 Price-Setting Activities l Supply is the relationship between the amount of a good or service that businesses are willing and able to make available at the price. 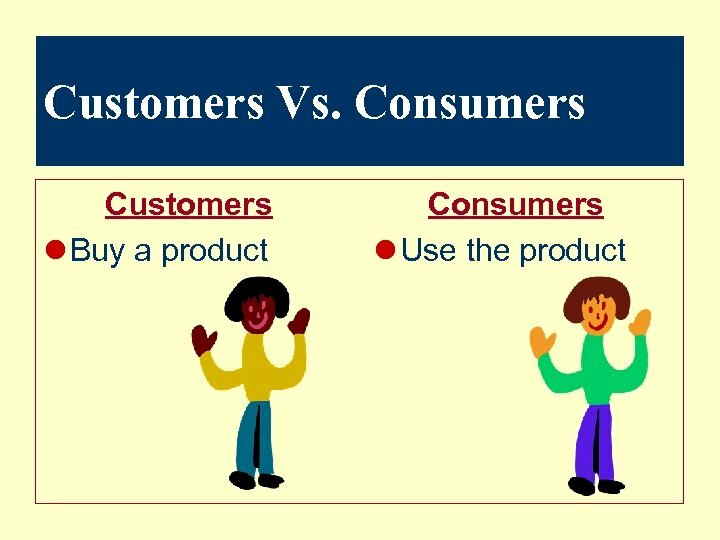 l Demand is the relationship between the amount of a good or service that consumers are willing and able to purchase at the price. 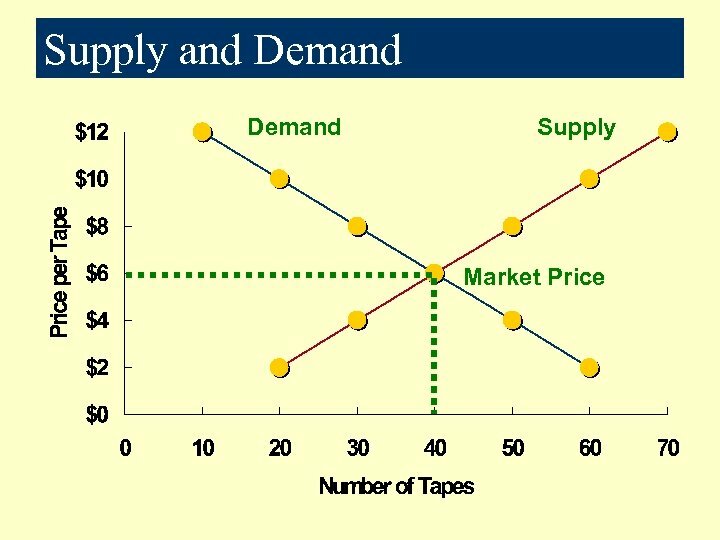 l Market price is the point at which supply and demand cross. 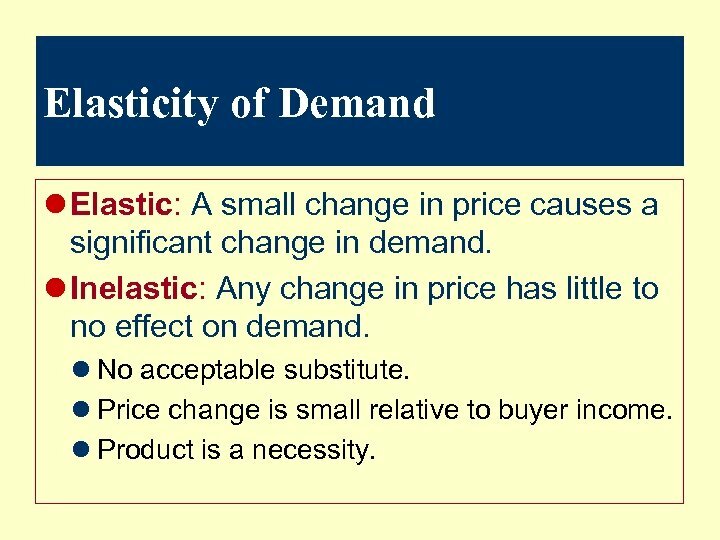 Elasticity of Demand l Elastic: A small change in price causes a significant change in demand. l Inelastic: Any change in price has little to no effect on demand. l No acceptable substitute. l Price change is small relative to buyer income. l Product is a necessity. 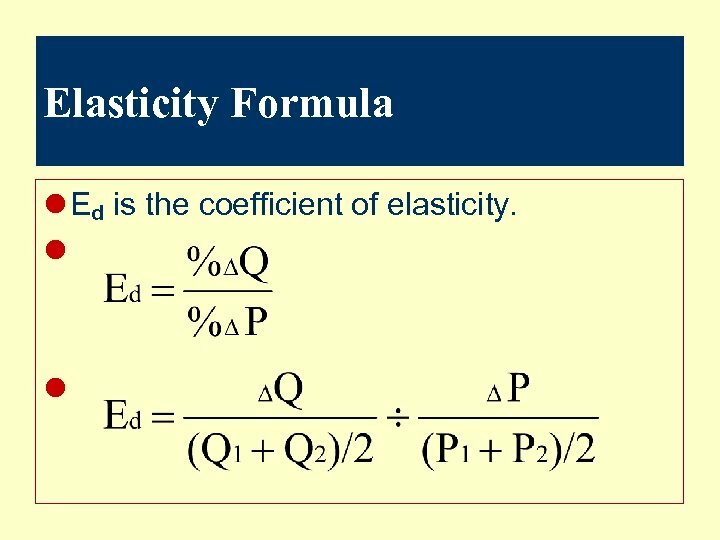 Coefficient of Elasticity l If Ed > 1 then demand is elastic. 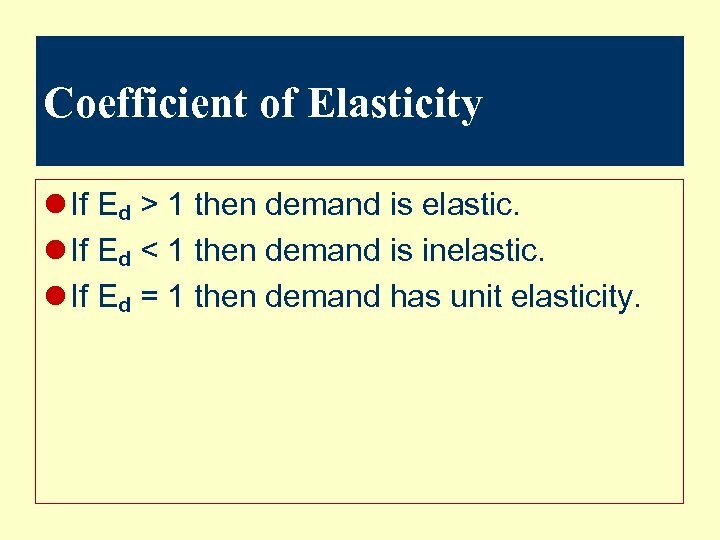 l If Ed < 1 then demand is inelastic. l If Ed = 1 then demand has unit elasticity. Amplifying Questions Essential Question 4 Marketing Principles What is an economy and how is it defined? Marketing Essentials pg. 52 -59 International Business pg. 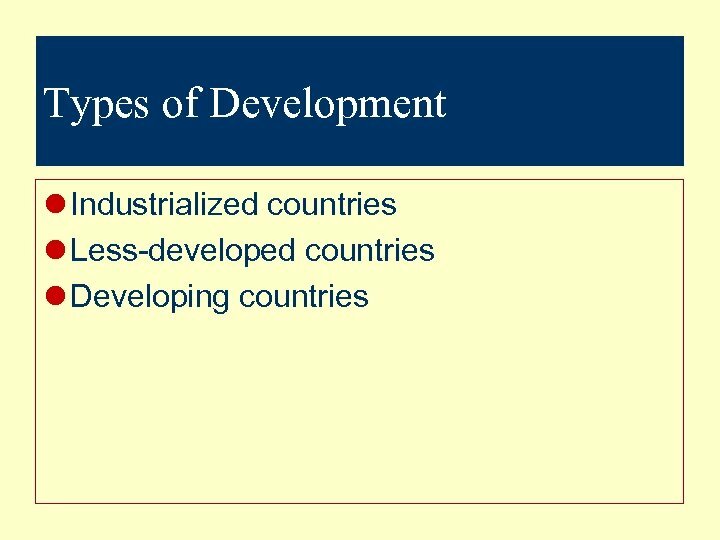 36 -39 What are the four main factors of production? How do different countries make economic decisions? 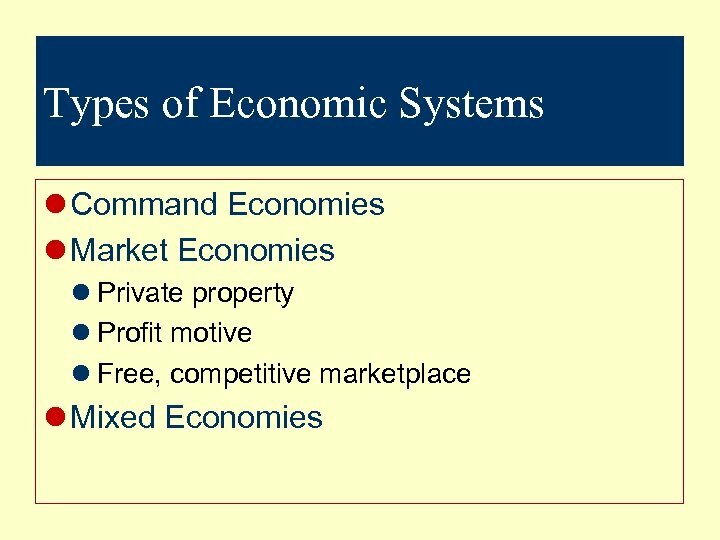 What are the different types of economic models? What is an Economy? 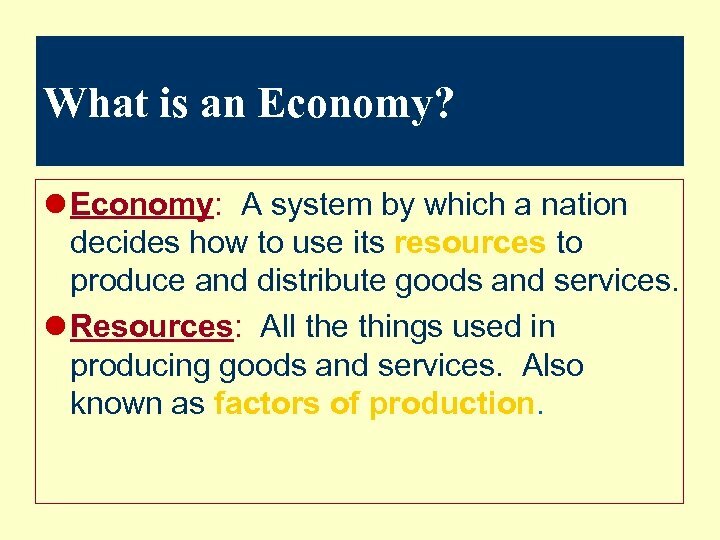 l Economy: A system by which a nation decides how to use its resources to produce and distribute goods and services. 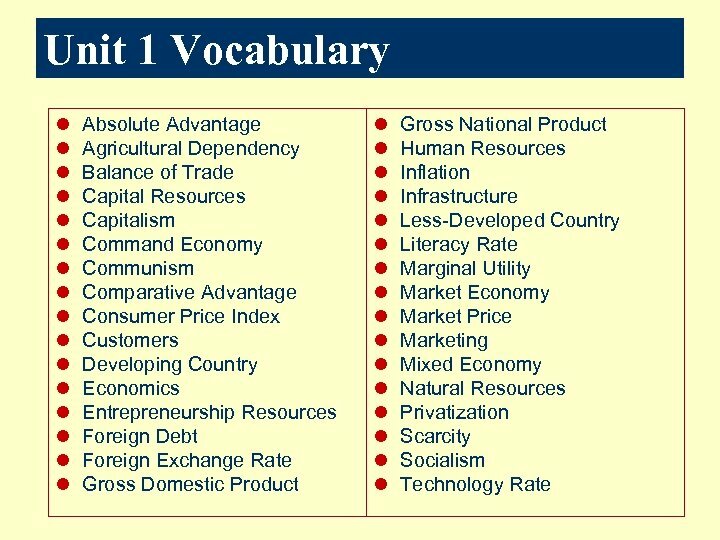 l Resources: All the things used in producing goods and services. Also known as factors of production. 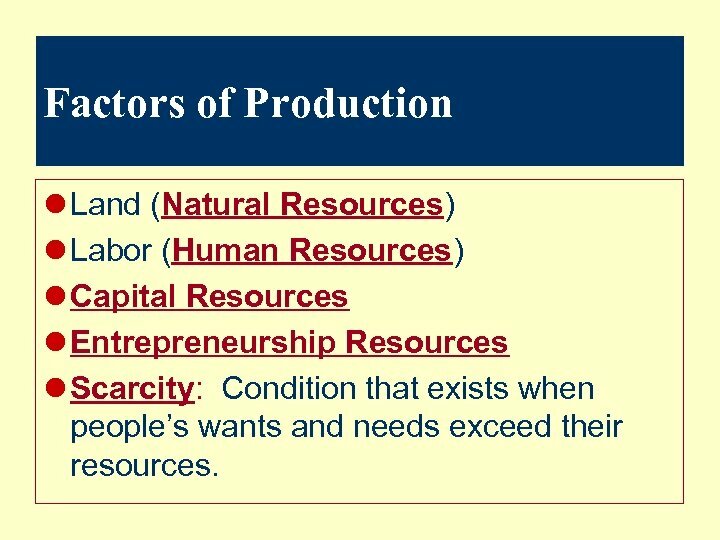 Factors of Production l Land (Natural Resources) l Labor (Human Resources) l Capital Resources l Entrepreneurship Resources l Scarcity: Condition that exists when people’s wants and needs exceed their resources. 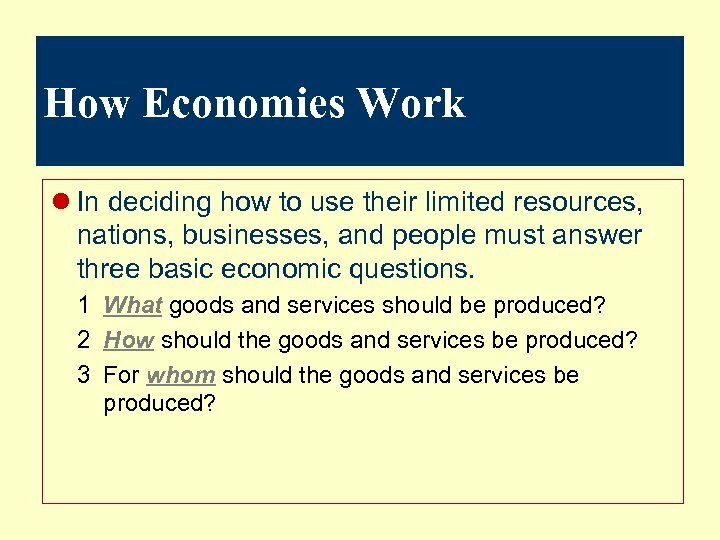 How Economies Work l In deciding how to use their limited resources, nations, businesses, and people must answer three basic economic questions. 1 What goods and services should be produced? 2 How should the goods and services be produced? 3 For whom should the goods and services be produced? 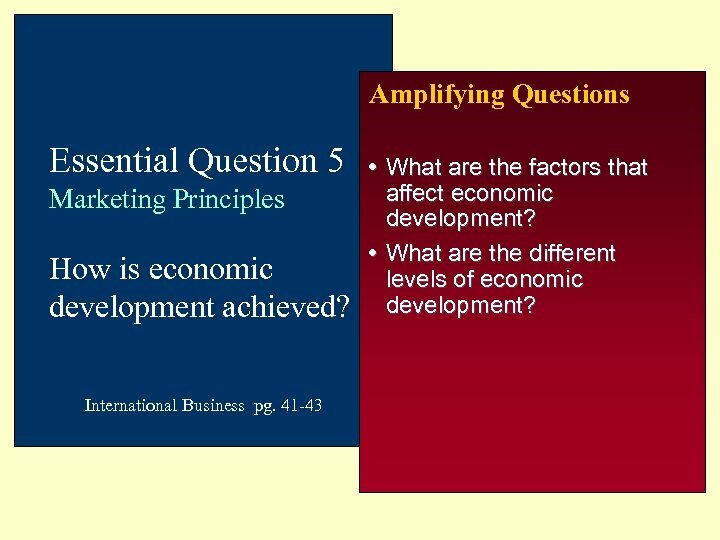 Amplifying Questions Essential Question 5 Marketing Principles How is economic development achieved? International Business pg. 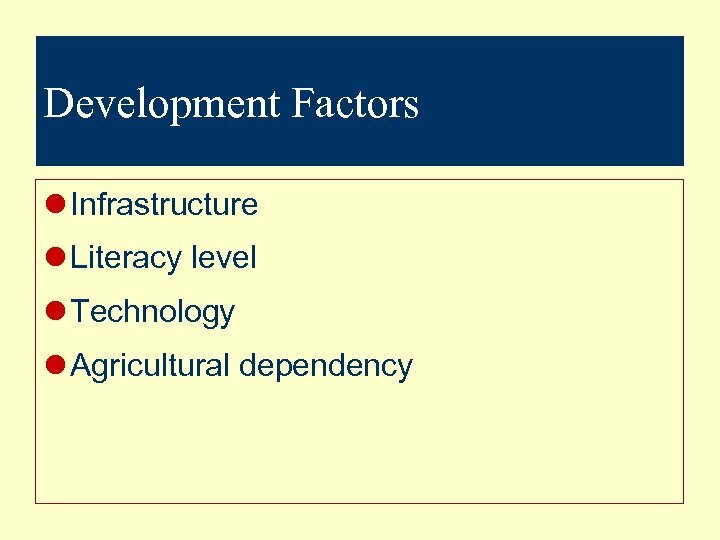 41 -43 What are the factors that affect economic development? 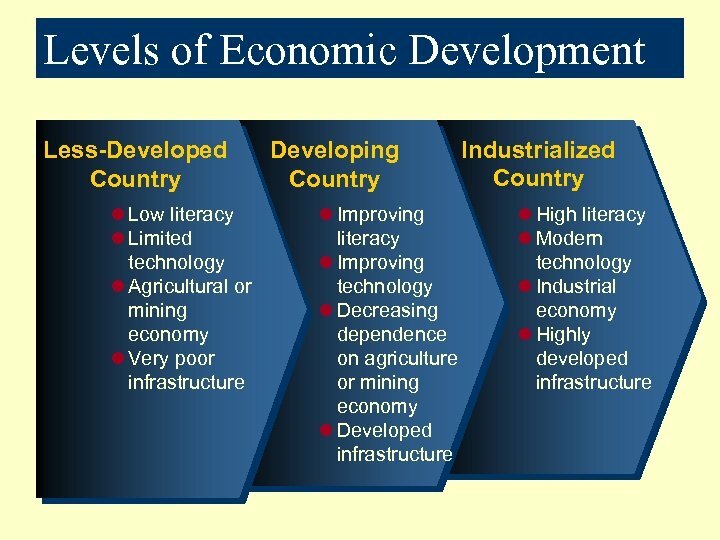 What are the different levels of economic development? 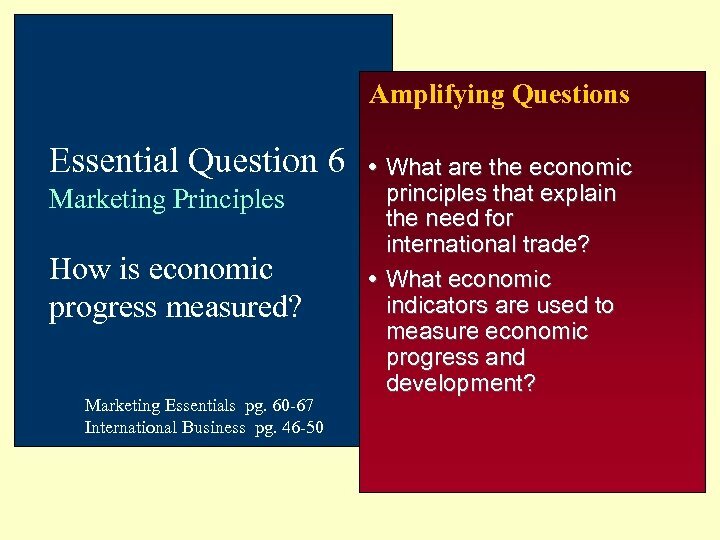 Amplifying Questions Essential Question 6 Marketing Principles How is economic progress measured? 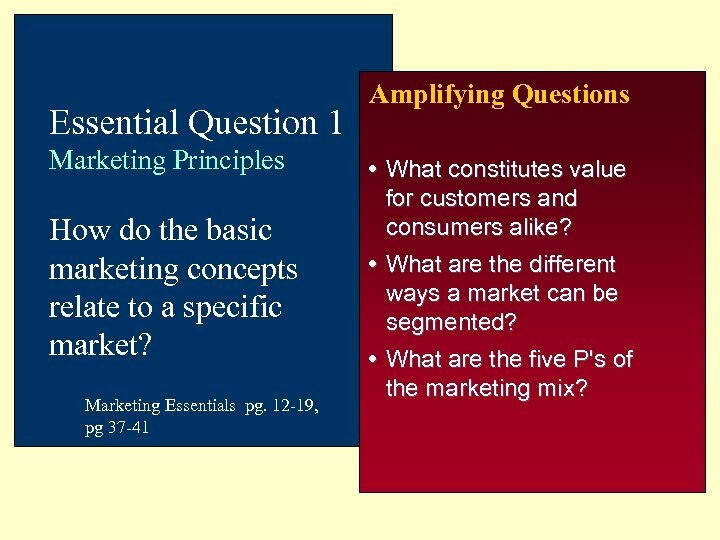 Marketing Essentials pg. 60 -67 International Business pg. 46 -50 What are the economic principles that explain the need for international trade? 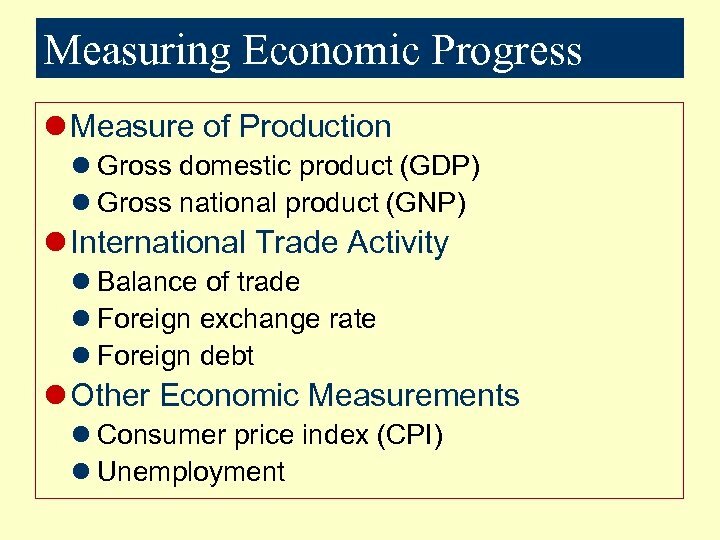 What economic indicators are used to measure economic progress and development? 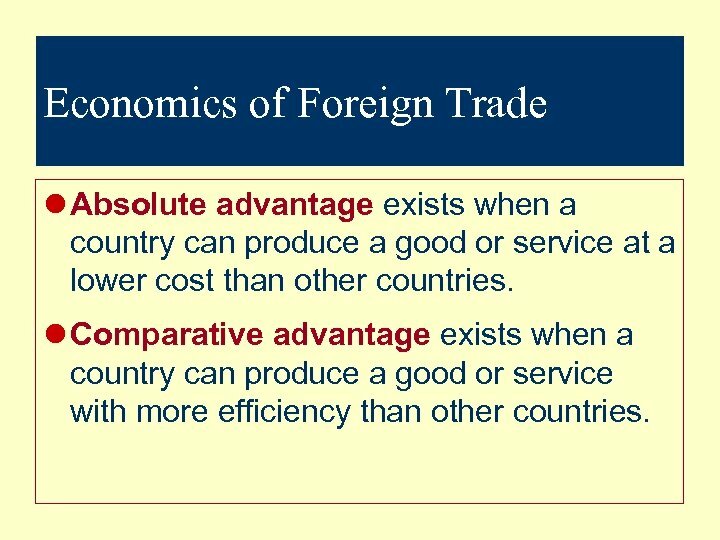 Economics of Foreign Trade l Absolute advantage exists when a country can produce a good or service at a lower cost than other countries. l Comparative advantage exists when a country can produce a good or service with more efficiency than other countries.